If you are interested in purchasing new window coverings, we encourage you to visit us at our state-of-the-art window treatments showroom, located in Oceanside, NY. At our showroom, you will find large working displays of all our Hunter Douglas products, and you will also be able to work with one of our skilled customer service professionals. Every time you shop at Creative Window Coverings you can look forward to a superior shopping experience. At Creative Window Coverings, we want every customer to be satisfied with their purchase. We provide working displays of all our window treatment products so that customers get the opportunity to see, touch, and operate all our beautiful window coverings before they make their final decision. 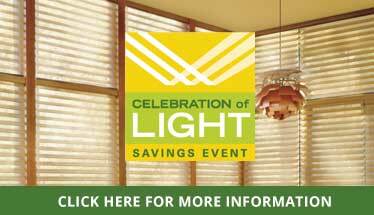 We have displays of our Hunter Douglas window blinds, shades, shutters, and more. Not only will you be able to see how our window treatments operate, but you will also be able to see all the beautiful fabric options we have available. Not sure which window treatments are the right fit for your home? Our professional staff will walk you through all your window treatment choices, providing more information about the features and benefits of each product. Ultimately, we want to make sure you are able to make an informed decision about your window treatments, ensuring your long-term satisfaction with your purchase. Visit Our Window Treatments Store Today! Creative Window Coverings is located at 238 Merrick Rd., Oceanside, NY 11572. Our building is conveniently located at the corner of Merrick Road and the Rockville Centre Parkway, directly next to Busco’s Gourmet Kitchen and Catering. Our showroom is open five days a week and our hours are Tuesday – Friday from 10am-5pm and Saturday from 10am-4pm. We are closed on Sunday and Monday. The next time you need new window fashions, visit Creative Window Coverings and see what makes us the best window treatments store in the area! If you have any questions, feel free to give us a call at (516) 763-1345. We look forward to serving you!